Wanny Di Filippo was born in 1945 in Adria, in northen Italy. 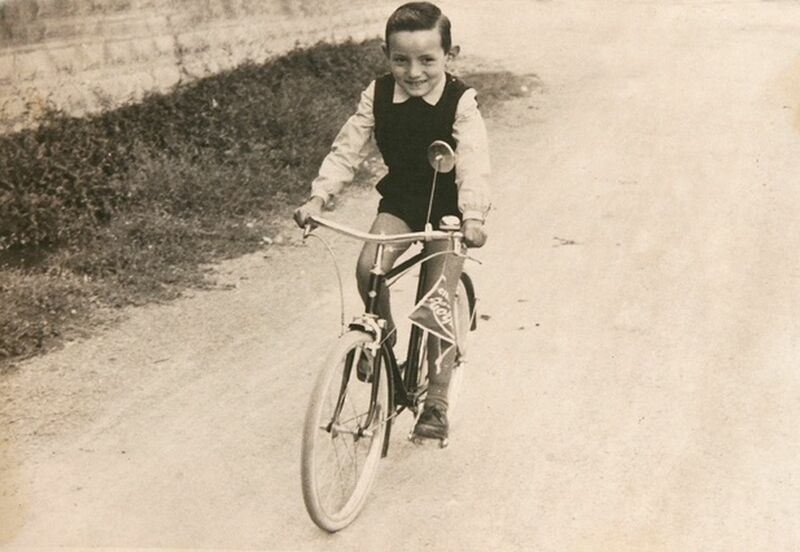 He came into the world on February 14th, but the bombardments of World War II prevented his grandmother from going to the town hall to register his birth. A farmer friend ended up going a few days later but gave the wrong date which is why the official registers have it down as the 16th. 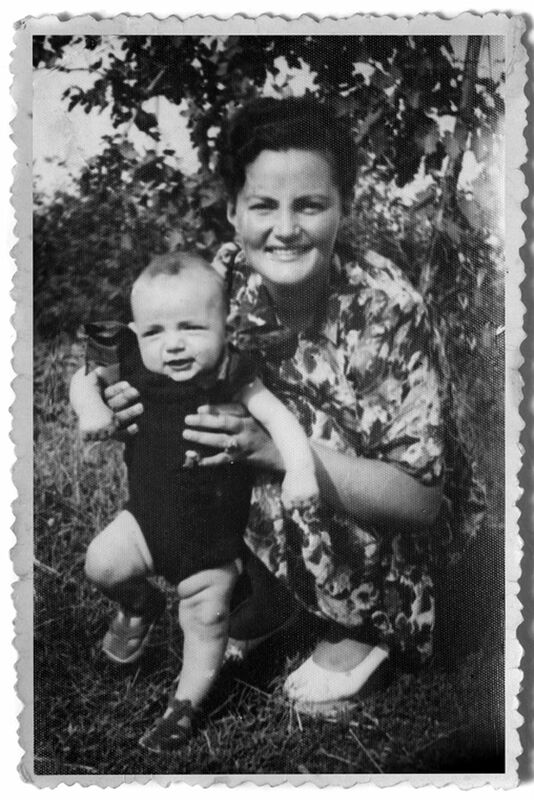 There were problems also with his name: his mother wanted to call him Vanni, but the priest who baptized him was against it because “the calendar of saints has no one who bears that name”. So two important saints were assigned to him: Giovanni and Antonio. But everyone always called him Vanni. The W and Y came later to distinguish him from the many Vannis that surrounded him once he arrived in Florence. He had always shown great interest in art since he was a child, but his father – a pragmatic Carabinieri Marshal – urged him to enroll in a technical institute. Wanny did not finish his studies. 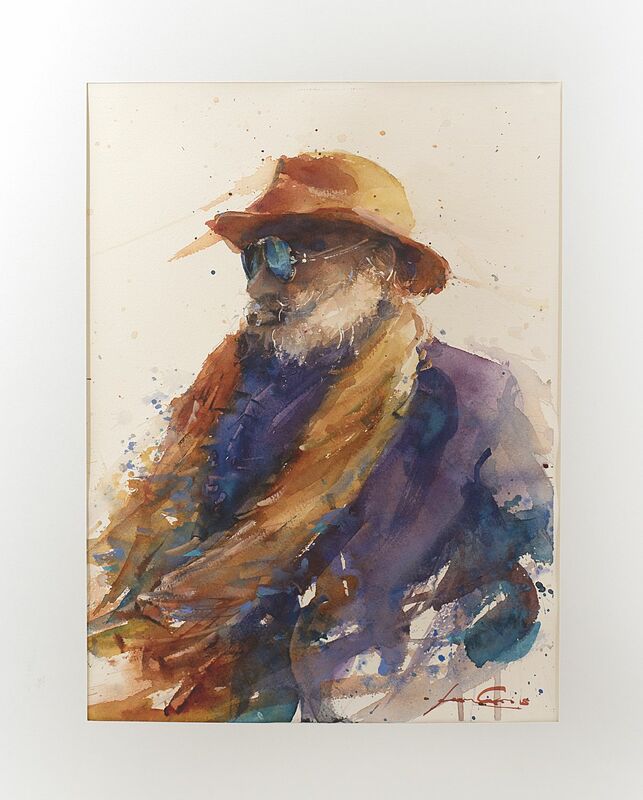 He was hired as an apprentice in an electrician’s workshop and in the meantime cultivated his passion for art through correspondence painting lessons from a Parisian school. The time came for him to do military service and Wanny enlisted with the mounted Carabinieri. He spent eighteen months between Rome and Milan as assistant to Officer Raimondo D’Inzeo, 1960 Olympic equestrian champion and twice world champion. A love for horses and nature would accompany him throughout his life.d and irreplaceable worldwide ambassador. Back in Veneto he found work as a representative for spare cars parts. He travelled a lot, especially to central and southern Italy. Every now and then he would stop, pull the canvas and easel out of the trunk and start painting. On the ferry that brought him to Sardinia he met Nadia, a young singer who would soon become his wife. In Sardinia Wanny and Nadia spent weekends at the beach and, with full-on hippy spirit, they would weave bracelets and belts and create bags to give to friends. In 1969 their leather hobby became their job. A family friend asked Wanny to design a line of bags for his leather goods company. His designs – considered too innovative and too far from fashion trends – were rejected as a whole. 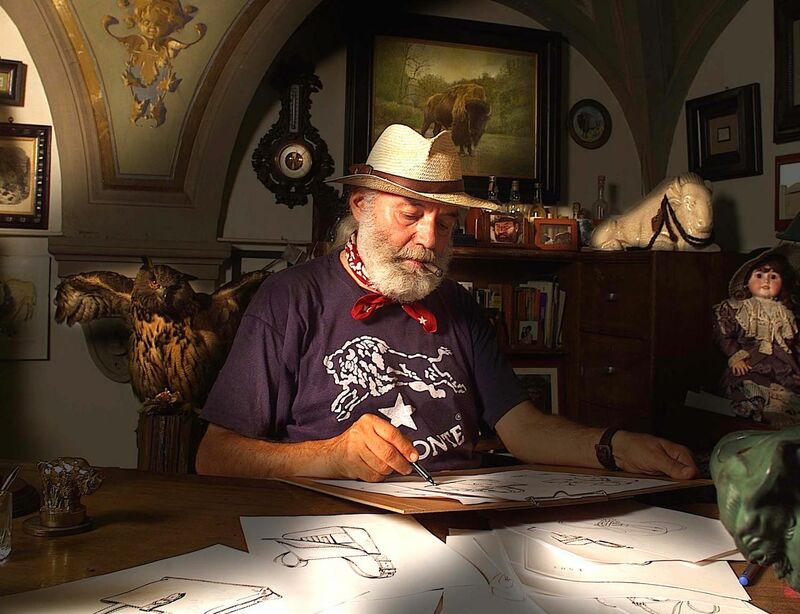 Instead of getting discouraged, Wanny decided to set up his own business and in 1970 – together with Nadia – opened his first artisan workshop in the heart of the historic center of Florence, in a basement that was still marked by the dramatic flood that had devastated Florence in November 1966. Il Bisonte’s story started here in the small workshop in Via del Purgatorio 69. Wanny chose the name for his brand. He did so in homage to the animal that he has always thought of as his totem: strong and calm, brave and resistant. During those first months of work he also designed the logo, but it was pointed out that his bison was so placid that it looked like a cow. Ten years later in 1980 he modified the animal’s profile and added a star, shaping the brand image that still characterizes all of his creations today. In 1973 he opened the first Il Bisonte shop on the ground floor of Palazzo Corsini, where the brand’s most important store is still located. Wanny’s unbridled passion for antique markets and his mania for collecting furniture, objects and lamps, made it difficult to understand exactly what he was selling in his shop. But it was a beautiful place full of special things, and success was not far off. As production grew, Luciano, then sixteen, came to help him. He would be his right hand for 40 years, managing the company even after production was transferred to Pontassieve. The Seventies were a decade of great creative ferment. 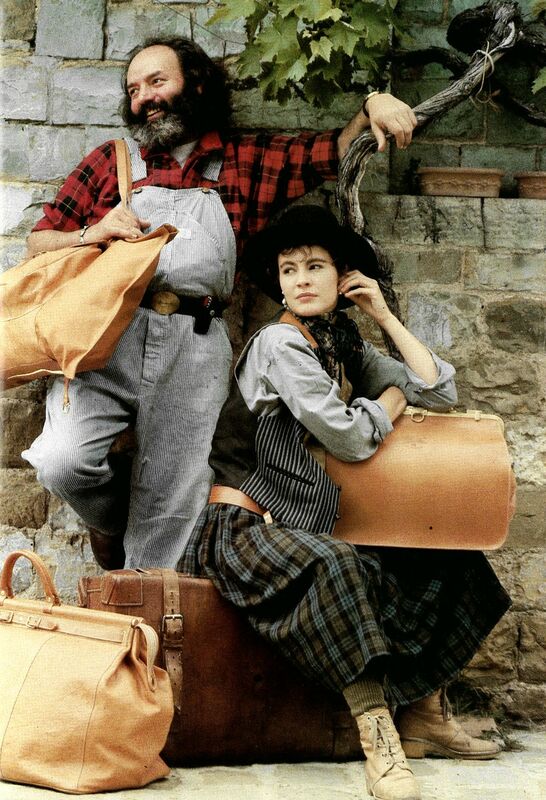 Nadia, a trained seamstress, launched her leather clothing line; Wanny designed some of Il Bisonte’s timeless icons: the convertible Caramella (1973), Maremmana (1974), Vagabonda (1976); the Doctor Bag (1980) and the first backpacks. In 1980, Renault made a customized Renault 5 “Le Car Van” for him and to present it to him they organized a real event which was written up by the newspapers of the time. After experimenting with shapes and function, he began to try out different materials. In 1982 Wanny added lamb fur, wood, metal, horsehair and carpets to his traditional cowhide which he would choose piece by piece from the tanners in Santa Croce sull’Arno. On a beach in Forte dei Marmi in 1984, he stripped the colorful striped canvas from a beach chair and decided to make it into a bag. After that he would never stop playing with lines. 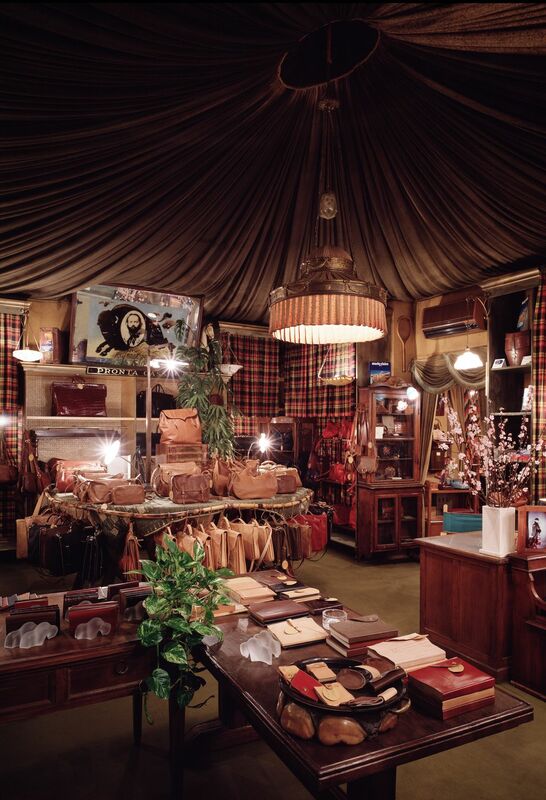 In the mid-Eighties, the flagship store opened in Paris and from there, in the Nineties international buyers helped launch the great Japanese adventure; the first of 40 nationwide stores opened in Kyoto. 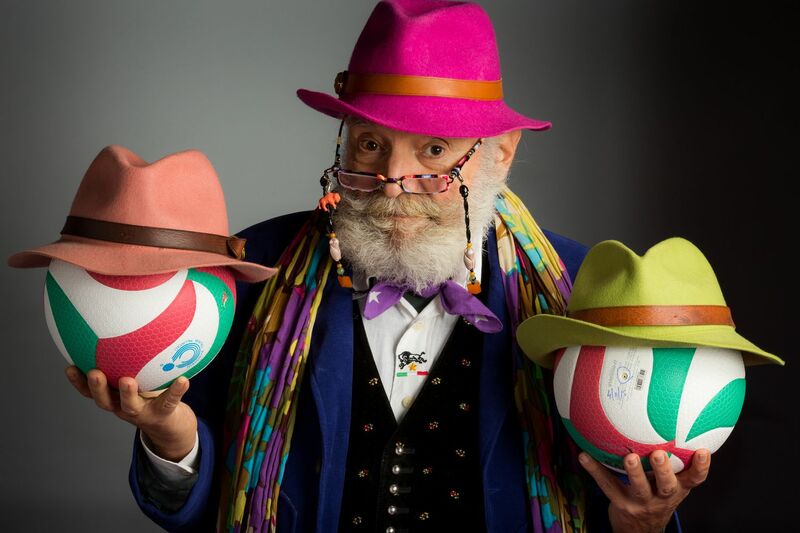 Wanny’s unmistakable style immediately sets him apart as a Made-in-Italy icon. 2003 marked the start of another long-won challenge: Wanny decided to sponsor the Azzurra Volley volleyball team. Thanks to his support and overwhelming passion (for important matches he dyes his beard blue), the team was promoted to the A Series league in 2012. And he decided to donate a new sports center to the city of Florence explaining “it doesn’t make sense to be the richest in the cemetery”. In 2016 a terrible car accident kept him in bed for months and caused him to fear for his company’s future. Wanny decided to find a buyer who would be able to develop the business and guarantee a future both for his beloved brand as well as the team of collaborators who have been like family for so many years. 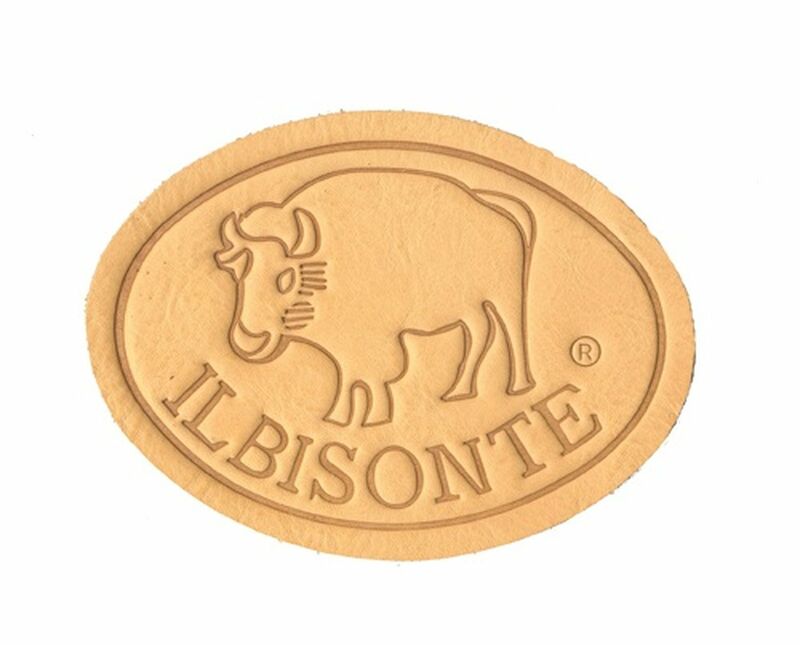 Il Bisonte was taken over by British fund Palamon Capital Partner. This new arrangement frees him from operational responsibilities, but not from his connection with Il Bisonte, where he is still a beloved and irreplaceable worldwide ambassador.